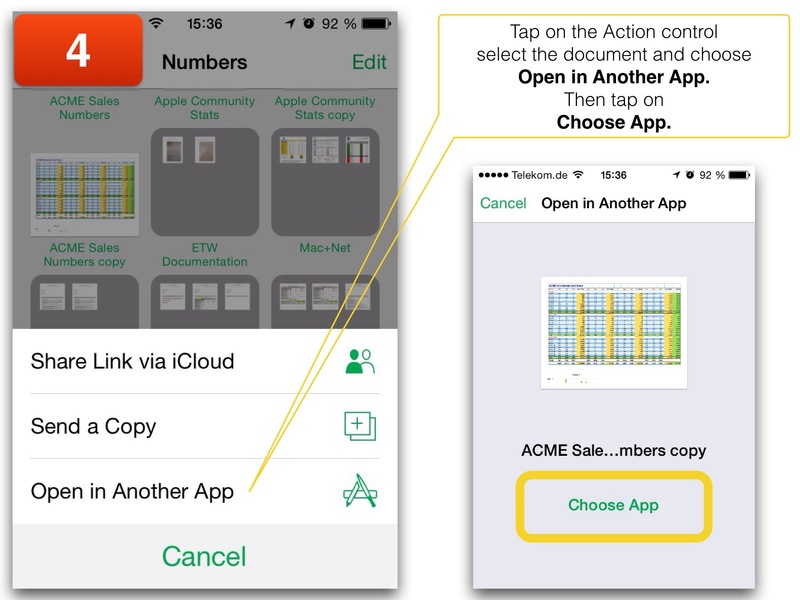 iWork for iOS syncs all your iWork documents via iCloud with all your other devices running on the same Apple ID. Sometimes it’s useful to save an iWork document on an external storage e.g. a USB stick connected to your router e.g. an Apple AirPort Extreme. There seems to be a problem with iWork documents winging to an USB storage. I’d like to think Apple products are perfect but they obviously aren’t. There is a way to fix it in a jiffy. Here is how you can do it seamlessly. 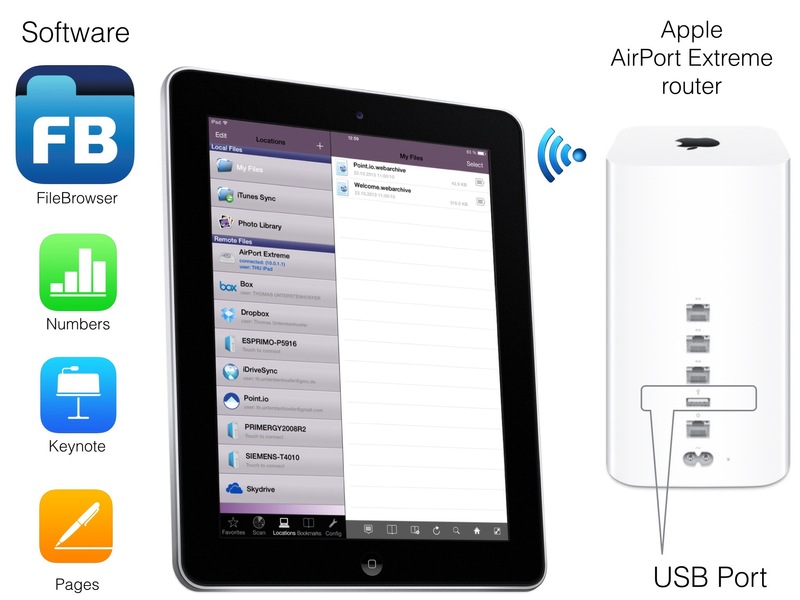 This is my home configuration, an iPad, an iPhone, and an Apple Airport Extreme router connected to cable internet via a CISCO modem. I use the USB port of the router to connect external storage media with the WiFi network. 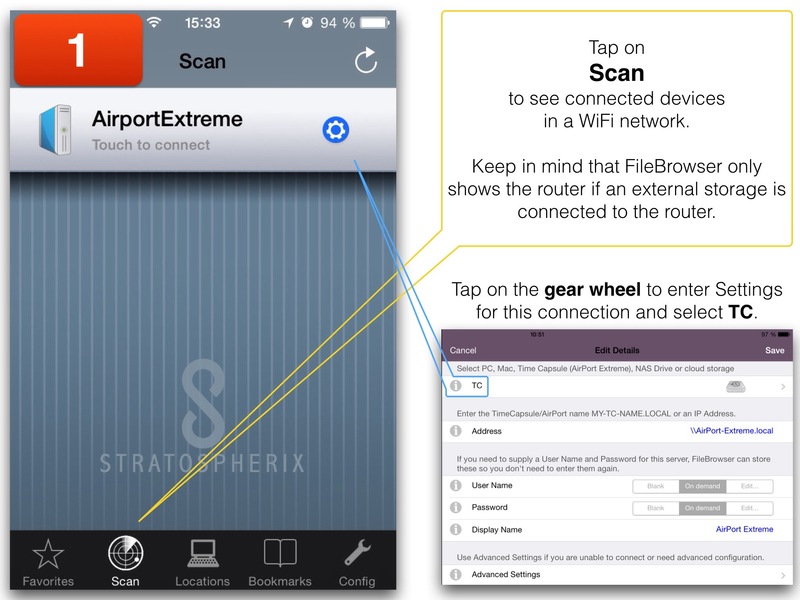 To seamlessly connect to external storages I use the app FileBrowser by Stratospherix. Over time it was improved many times and seems to be the best app to connect to local storages as well as cloud storages via WebDAV or predefined connections to well-known cloud providers like Dropbox, OneDrive, Box, or even Point.io. It also supports Microsoft’s SMB protocol (Server Message Block) to automatically connect to Windows networks and since the last update the FTP protocol (File Transfer Protocol) is supported with which you can seamlessly access web servers. 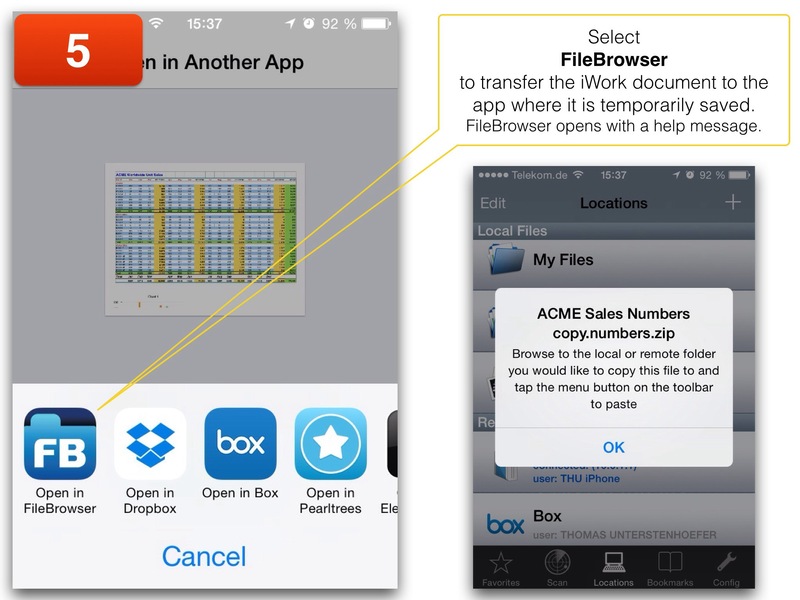 With FileBrowser, the iPad or iPhone becomes a powerful tool for business and private use. The app is easy to use and allows files to be downloaded, edited and uploaded back to the original location or distributed to other employees, partners or customers. With FileBrowser, users can access their documents from their mobile device and no longer need to take bulky laptops to meetings or out of the office when visiting clients. 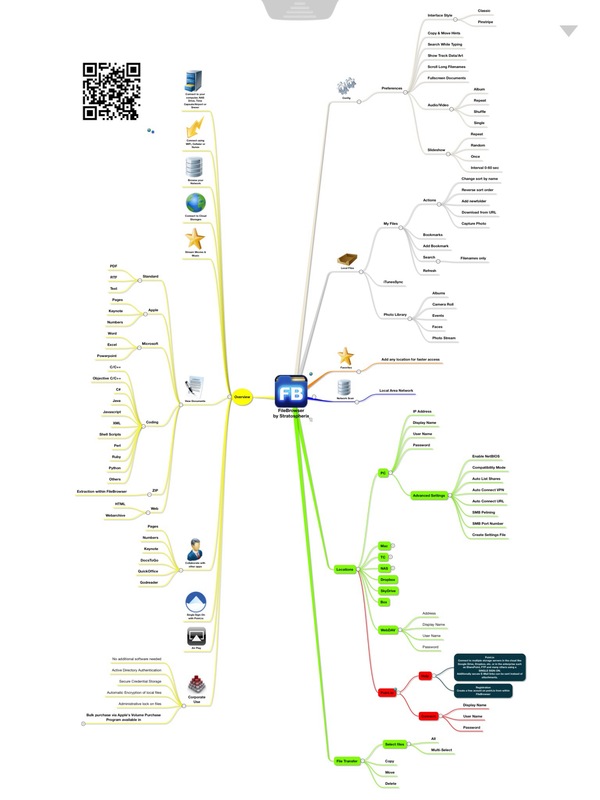 Let’s take a look on this universal app by summarizing its features in a mind map. 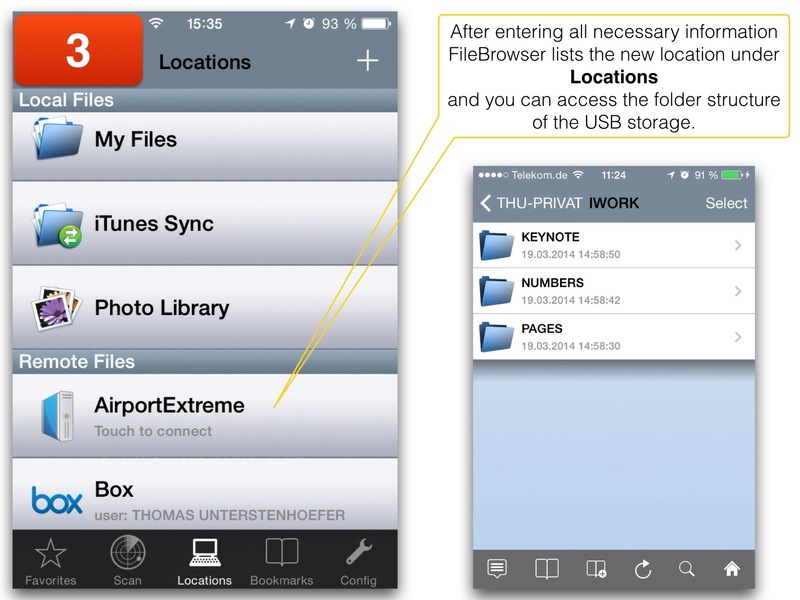 An alternative to FileBrowser is GoodReader by Good.iWare. 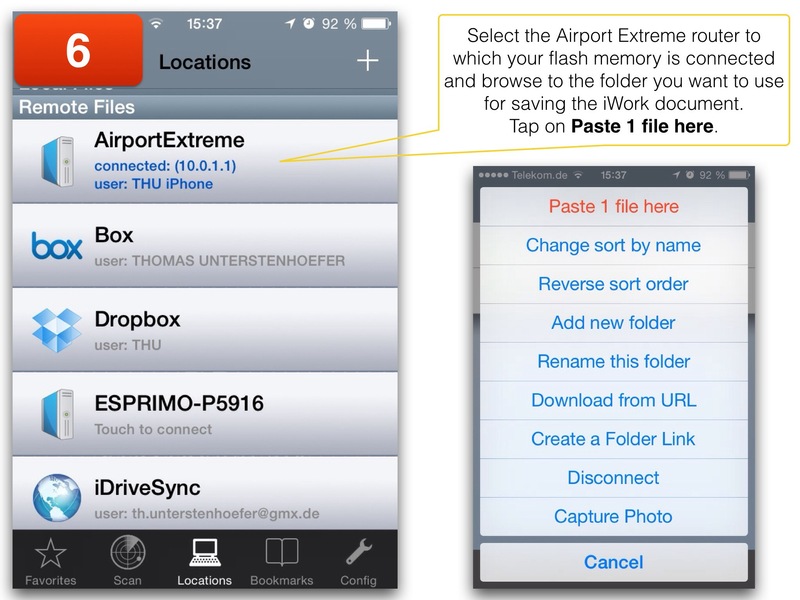 The app connects to the attached storage via SMB protocol. Because of the many more features of FileBrowser, the clean UI, and the support of Point.io it’s more powerful than GoodReader. If you don’t trust in cloud services or if your documents contain sensitive data you might want to disconnect iWork from iCloud. Unfortunately you cannot deactivate iCloud syncing for single documents. 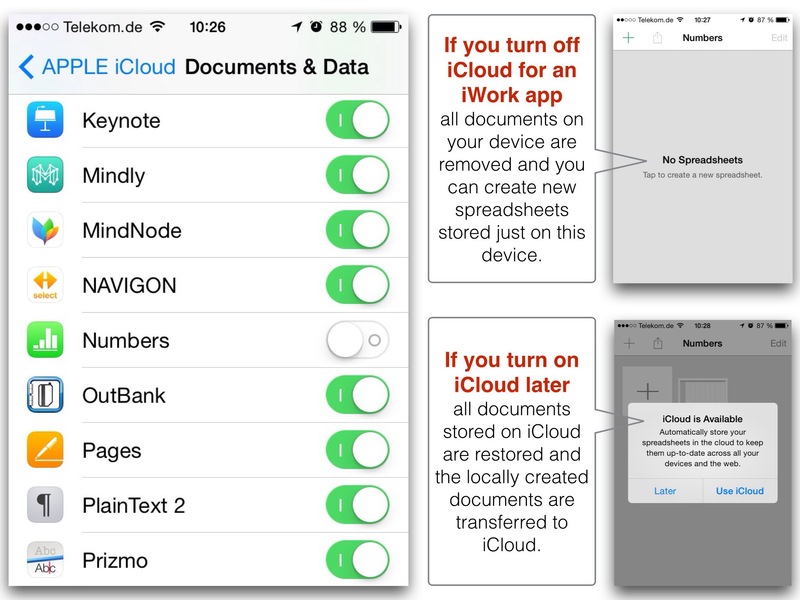 So you have to go to Settings – iCloud – Documents + Data and cut the connection for an app e.g. Numbers. 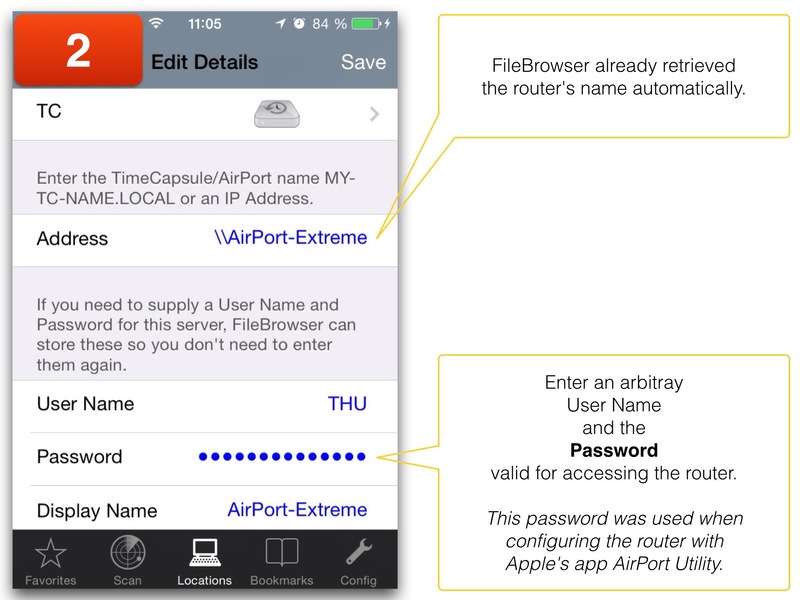 From now on documents created with Numbers are saved locally and you can use the procedure iWork-To-Airport to save backup copies on the storage attached to you AirPort router. 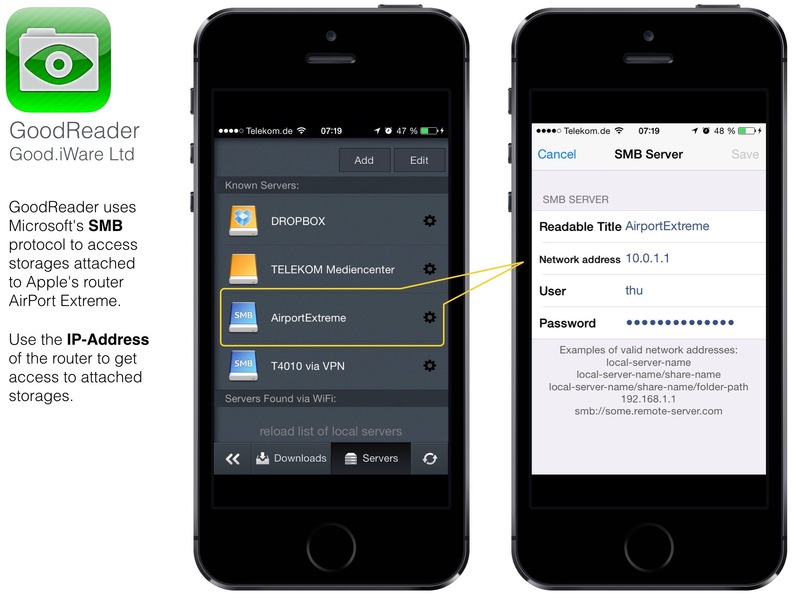 iOS devices with installed iWork apps should be improved regarding access to Apple’s routers and there should be an option for excluding single documents from automatically saving them on iCloud.